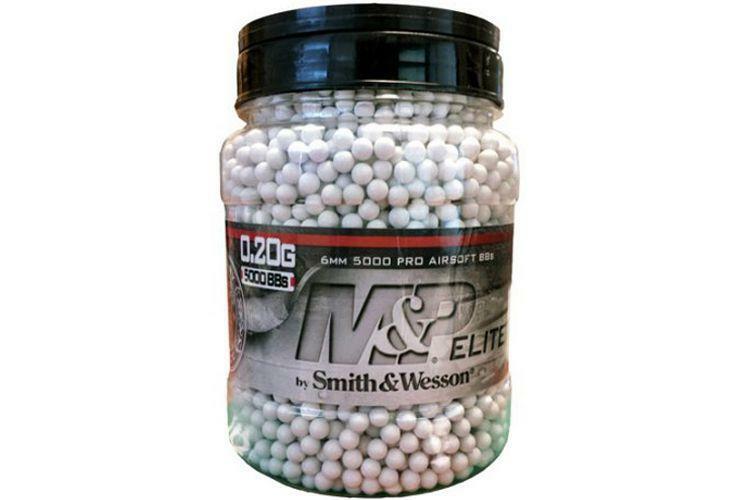 S&W M&P Pro Airsoft BBs .20g - 5000ct Bottle | Replicaairguns.ca | New Website! Comments: Increase accuracy and shooting precision with the S&W M&P Pro Airsoft BBs. These quality BBs are compatible with most airguns, and are made with a high-strength formula to prevent chipping. While less fast than lighter .12g BBs, they offer better accuracy and prevent jamming. This bottle contains 5,000 rounds of firepower.